Join us August 31st from 6pm to midnight at Books & Brews in Muncie. They are brewing a special beer, Mojito (MINT -get it?- lime) Sparkling Ale and graciously donating $1 of every pint sold to Mid-Indiana Trails. This money goes straight to maintenance and development of the Prairie Creek Trails Project (stay tuned for more exciting news on the project). Please come out and show your support! The trails are in great shape with no trees down! Get out there and ride before the rain comes this weekend! Thanks to everyone who came out and participated in the Reels & Rims event and donated towards the trail project! 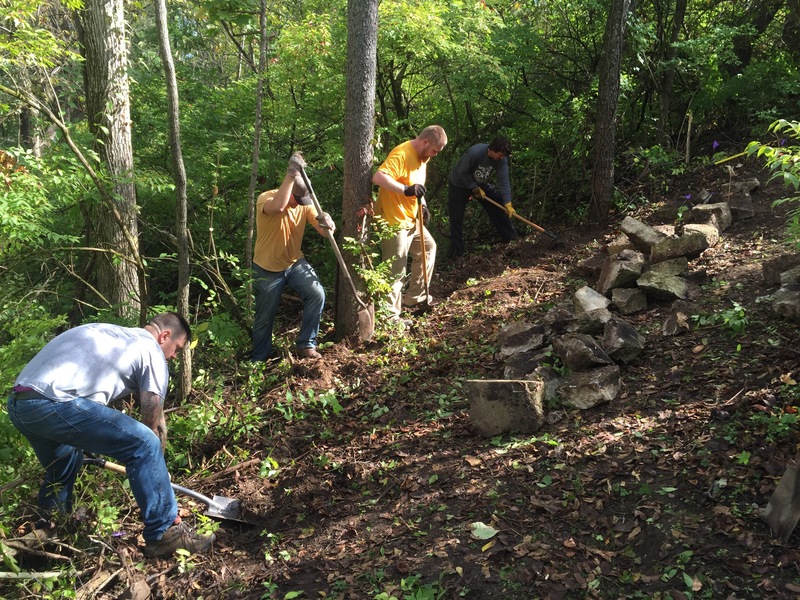 Some pics of the work today…there was some serious clearing of brush, digging, hauling of concrete chunks and dirt moving that ultimately resulted in a really nice and fun uphill/downhill turn! 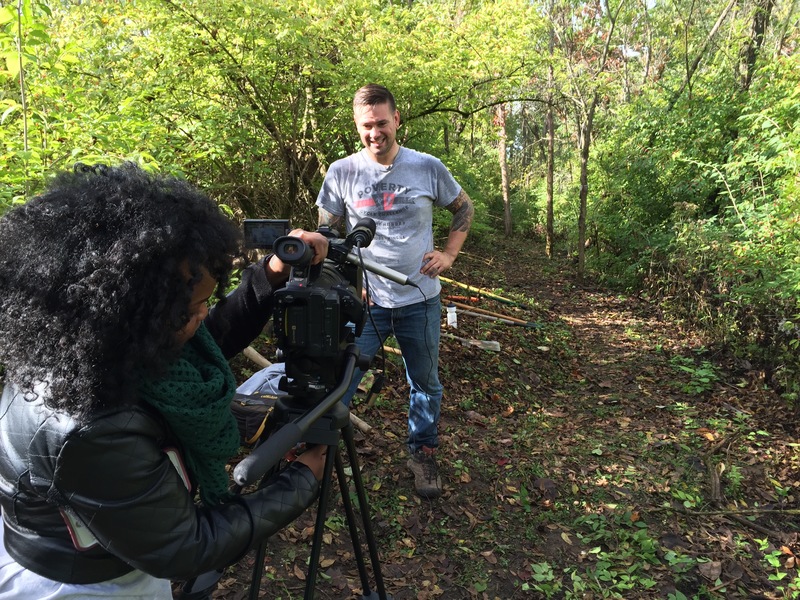 Also WIPB/Newslink Indiana came out and will be featuring a segment at the trails this Thursday the 8th, with a live feed from the trails! View of the turn from the middle. Guys digging the trench to hold the large anchor blocks for the retaining wall. 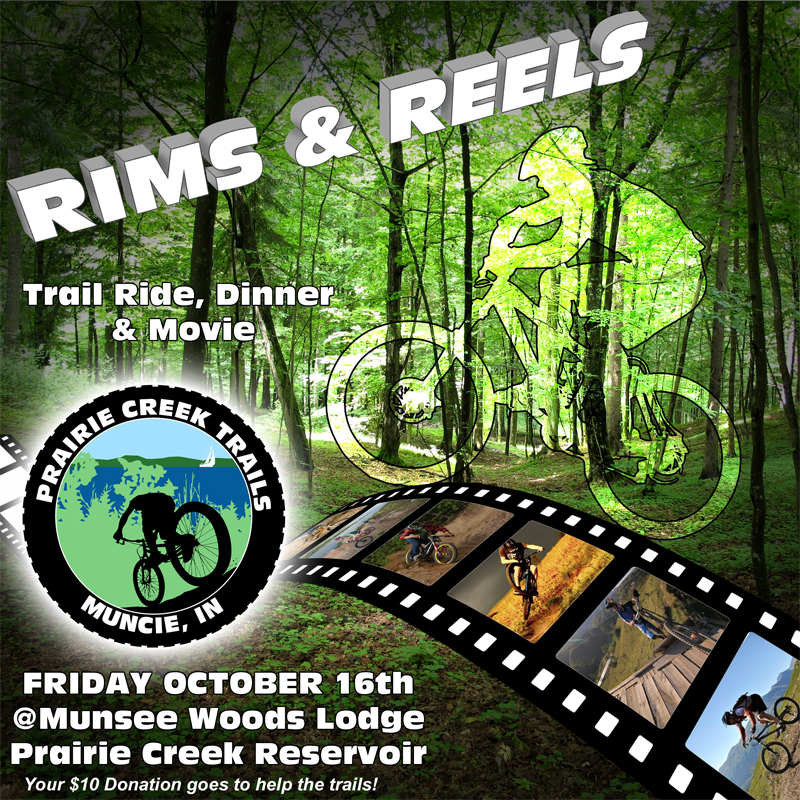 Rims & Reels – Trail Ride, Cookout & Bike Movies! Join us on Friday, October 16th at 6pm for a fun event out at Prairie Creek! We will be hosting a group ride of the new loop at 6pm, followed by a cookout and bike movies at Graham Lodge at Red-tail’s Munsee Woods. 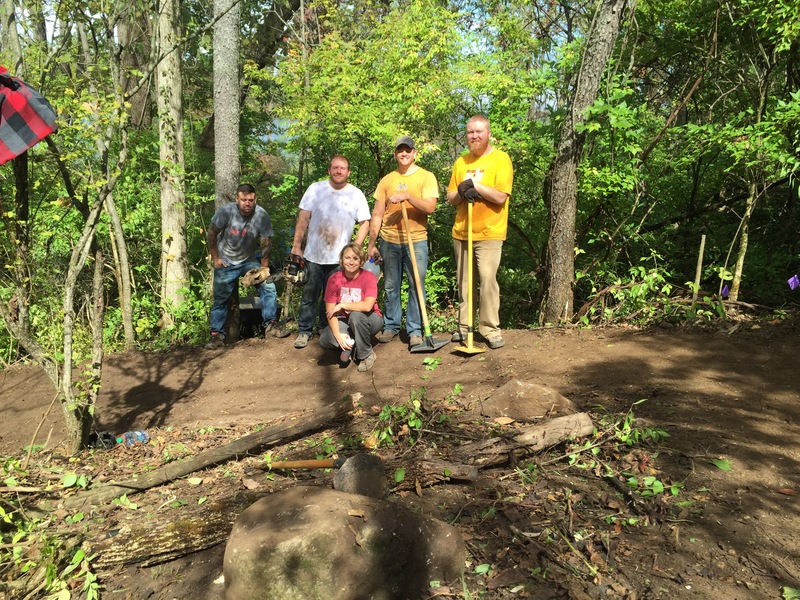 Your $10 donation will go to help the Prairie Creek Trail Care group efforts to become a chapter of IMBA, opening up funding and resource opportunities! BYObikes, BYOchairs and BYObeverages – we’ll provide the food & entertainment!